I created this per a request from ZeroSlayer, she/he wanted a tree that will not fade out. 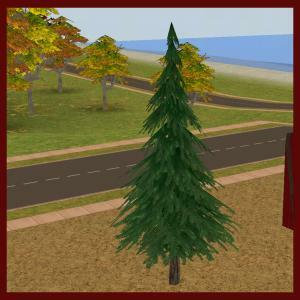 This is a global modification, which makes changes to the games settings, for this tree, it should not cause any problems in your game but could conflict with other global modifications to trees. This is a base game modification, and should work with any expansions. This is a very small file less then 1kb so I am adding it to this post. Holly1983 requested that the doll house be made to allow adults to play with it. I don't know why Maxis didn't do this the animations are there for the adults. Adults, teens, and elders are enabled to play with this house along with toddlers and children. This is not 100% complete, I'm on my 3rd time through this and have the main parts working so I wanted to post it. If you have other custom instruments that could be tested with this hack I'd really appreciate it. 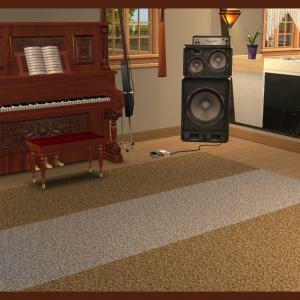 I have fixed it so the Sims do gain Enthusiasm for Music. This will reduce the needs to approximately 50%. Created for Silky's homeless project. It is a hack using the flamingo. 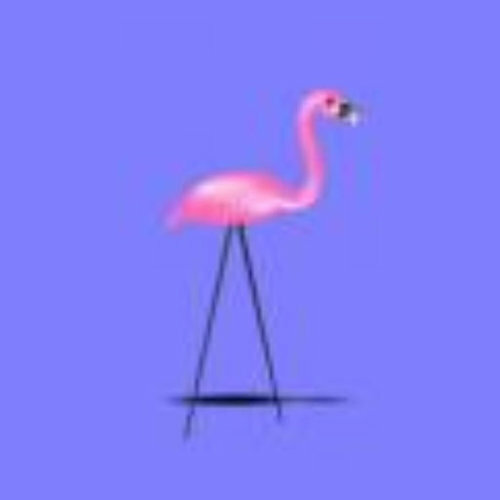 Place the flamingo on your lot and it will reduce needs about every sims hour, or you can click on it and select the reduce needs. You have to have the flamingo on the lot for the mod to work. Please test it and let me know if it works the way you wanted Silky. I created this for Mychelle and Nonni's Medieval project. You can only have one global baby bottle in game. This item does not require any expansion and should work for all game combinations. 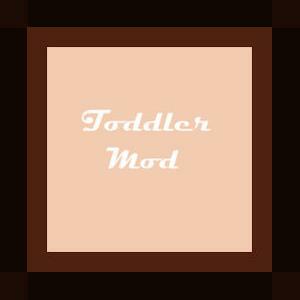 This mod is for those that might not want their toddlers to follow parents around. I have disabled the option for toddler to look for ways to fill their social needs. 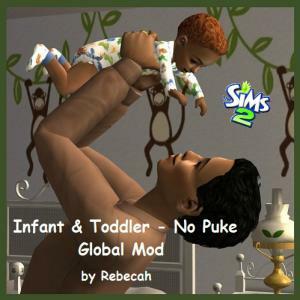 If you downloaded my toddler version you will need to delete it, because these will conflict with that. These versions include Toddlers, Puppies, and Kittens ability to use. You need to install both files unless you only use one type of stairs or the other. This was created for a request by GamerFreak07. I also find it annoying that the toddler wants to follow the adults around excessively. I don't totally eliminate the toddlers need to search for socialization, their needs have to be at about 50% before they should have the desire to go looking for someone or something to fill the social need. Do you hate that Sims are constantly leaving the trash laying around? I do so I created this mod to work with includes the tinker option that is new to the FT EP. Compost and Empty Trash are set to nonautonomous. 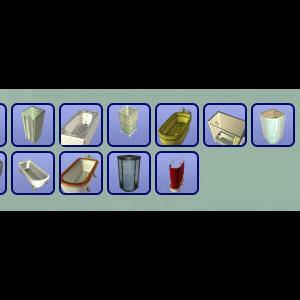 You are able to direct the Sims to Empty/Compost the trash. Kathryn requested that this item be buyable. It's found under Miscellaneous/Child for $300. This is a global modification to keep the file small and to eliminate duplication I believe someone did this as an object on MTS2 so I've done this one differently. This was requested by my dear friend Wanda. I liked this item when it was first released with OFB, but I didn't care for the way it worked and besides it didn't allow for use by toddlers. 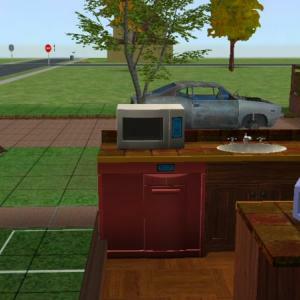 Wanda's Sims are no longer given the option to even build it, we have concluded that she has a custom created item that is causing a conflict, but she hasn't found the source of that problem. 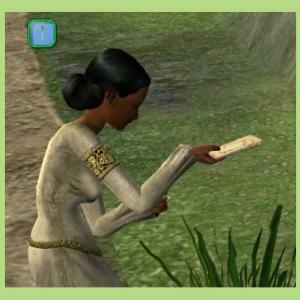 Utility found at http://www.simwardrobe.com under Sims 2 - Programs. I have made it buyable under Misc/Child for $450. If placed outside for use it will not create puddles nor the awful weeds that go with all the puddles. It is use-able by toddlers. I used Wes_h's animations decompiler to attempt to edit the text of the child animations to convert them for toddlers, but I was not successful in getting them to stand on the ground at all times. I have some animation lower but not all I also added a laugh for toddlers to the animations. Toddler wiggle into their underwear just before using it, as they don't have the option to use a bathing suit. 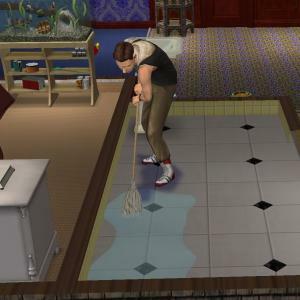 All Sims will change back to regular clothing after use. Their body temps will get just slightly blue while using, but as soon as they end the use, and change to regular clothing, their temps will be at a normal level of green. Great for your overheated sims and overly cold Sims. 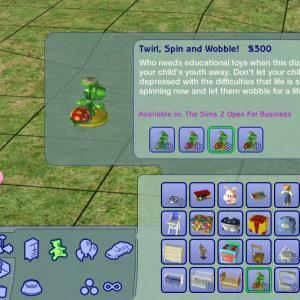 Sims will also gain hygiene when using, along with fun but fun was already a part of the original version. There is a mod for regulars and modular stairs, and one for kittens and puppies. April 30, 2013 - I have added a file for Infants only. Nonni has reported having problems with the toddler/infant version. Thanks to a request from Nonni, I have created this mod. Infants and Toddlers have very little chance of puking when being played with, and hygiene for the adult will only be reduced a small amount. This is a global mod to replace both residential and apartment mailboxes, with a Bonsai Stump. You may only have one global mailbox mod in your game at a time. Thanks to Nonni for the request and for the following images. If you like this please be sure to click her thanks button. You can only have one global Smart Milk Machine in your game. If you'd like some recolors please download the recolor file attached. This is a mod requested by Nonni. It gives adults and Infants, comfort, fun and more relationship when an adult cuddles and infant. Thank you Nonni for the request. 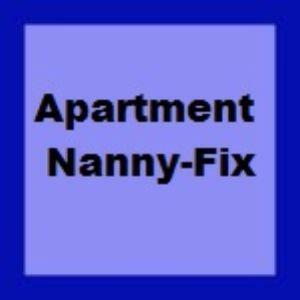 This global mod is a fix for improper coding by EA for the Nanny Controller. You may not get the error if you do not play your game with testingcheatsenabled true. This is a global mod to allow you to have an invisible recolor for both mailboxes. You may only have one global mod for the mailbox in your game. Thanks to Nonni for creating the images and for the request. I created this in response to a request from kayexrated on youtube. This mod should work for any combination of expansions and/or just the base game. Doors will always open into the room more like real life doors. Depending how you place it, if you place it backwards it will always open outward. In other words the door always open in the same direction, whether the Sims is going in or out. Like normal doors do. This is not only a mod to replace EA's pen, but also has modification for the write in diary. EA has the write in diary using a scalpel for the writing instrument, with this mod they use my quill. Sunni at PBK has a beautiful quill replacement, which will conflict with my mod, this mod is all in one file. Sunni's choose to create separate files, so please be sure you do not have any of them in your download folder, if you want to use mine. Mine is a plain pheasant feather, for your simpler Sims. Thanks to Nonni for requesting this mop! 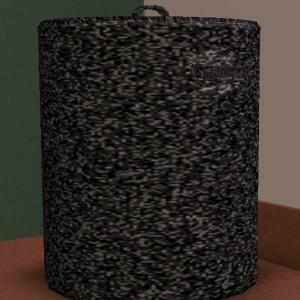 This is a replacement mesh for the accessory mop used by your Sims to clean up. It is not a purchasable item. No coding or other changes are included in the package. So it will not harm or change your game play in anyway. I only replaced the actual mop mesh and texture. No expansions are required, and it will work with any expansion combination. Credit to Nonni for her image. Global mods to eliminate autonomous baths, bubble baths and bathe toddlers. I left the shower option autonomous. If anyone wants that type or prefers object mods please let me know. 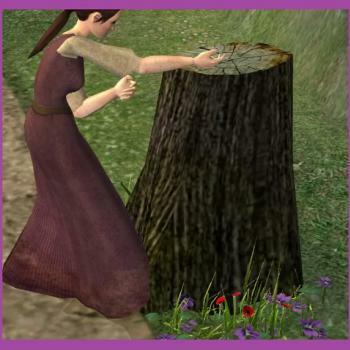 You must also have the Willow Tree in your download folder for this one to work, as the main global changes are in that file. This is the Pine Tree made to not fade out. Per request from ZeroSlayer and Michelle. Because this is such a tiny file I have included it at the end of this post or you may click the download button.